In summer 2018, Supreme Court Justice Elena Kagan warned that the First Amendment has become a weapon for conservative causes. 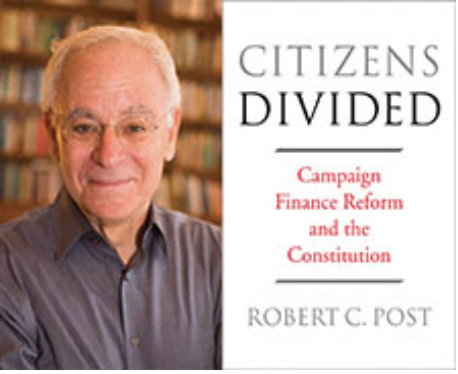 In a focused yet far-ranging conversation, Robert Post, Professor and former Dean at Yale Law School, discusses the First Amendment, its interpretations, uses and misuses, and the varied ways in which speech is regulated in America. Post’s expertise lies in First Amendment and constitutional law, legal history, and equal protection. He is the author of Citizens Divided: Campaign Finance Reform and the Constitution; Democracy, Expertise, Academic Freedom: A First Amendment Jurisprudence for the Modern State (2012) and, with Matthew Finkin, For the Common Good: Principles of American Academic Freedom (2009), among other books.